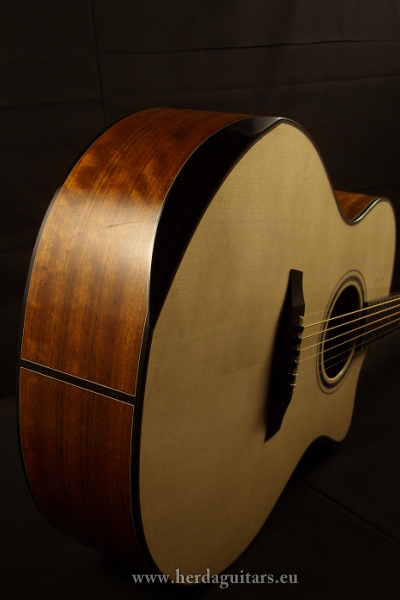 Solid wood acoustic guitars are very sensitive to humidity, especially during the first five years. It is very important to maintain guitar humidified at 50%. When humidity levels change rapidly it is good to let the guitar acclimatize in its case. For example, it is not a good idea to play outdoors in rainy weather where there is high humidity and then brings a guitar into a heated room with low humidity! In addition, long-term low humidity under 40% makes wood dry out which can cause cracking of the wood and lacquer, and twisting of the neck. Also, long-term high humidity above 65% causes the top to rise and can cause cracking in the lacquer. Humidity in the room: It is ideal to buy a digital humidifier or dehumidifier, and maintain an optimum moisture in the room of 50%. 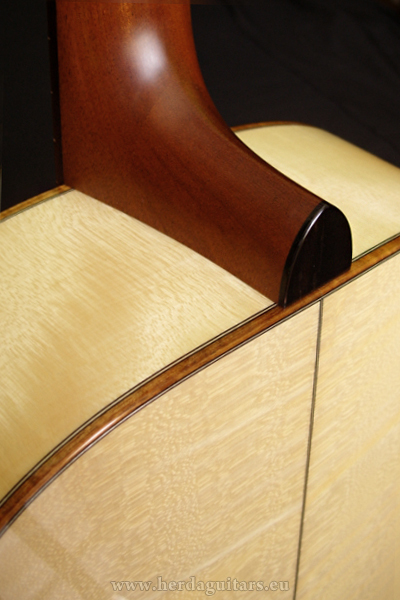 Humidity in guitar case: It is necessary to check humidity in the case regularly. To increase the humidity in the case use guitar humidifiers. 1.Submerse it in water for several seconds (best use distilled water). 2.Wipe the excess water off. 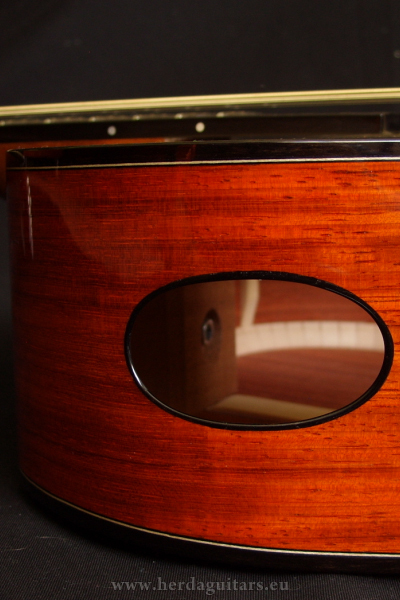 3.Place the humidifier inside your guitar through the sound hole. 4.Leave the guitar in the closed case. Add water every five days until the moisture increases to 50%. Your instrument has been coated with Nitrocellulose lacquer which has excellent acoustic properties, but also needs careful attention. 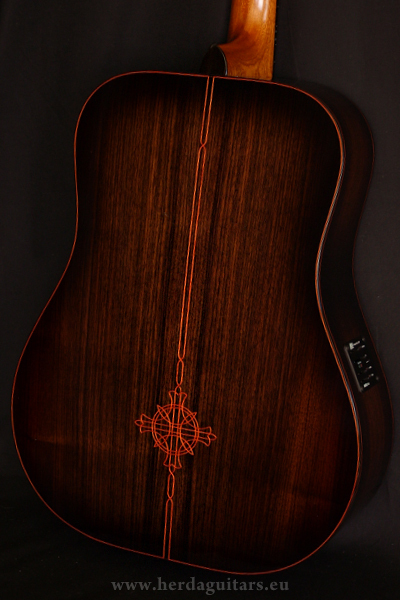 After you have played your guitar take a soft polishing cloth and clean off the instrument. Sweat will etch into the lacquer. Thicker areas of dirt can be cleaned with a damp cotton cloth and then wiped dry. Do not use a damp cloth on damaged or cracked lacquer. Never use any cleaning agents, solvents, or products containing alcohol. Be sure to select only high quality vinyl free guitar accessories such as the stand, guitar strap or capo, because vinyl dissolves nitrocellulose lacquers. To clean the fingerboard and strings use only specialized products for guitars. Do not place your guitar near a source of dry heat or direct sunlight. 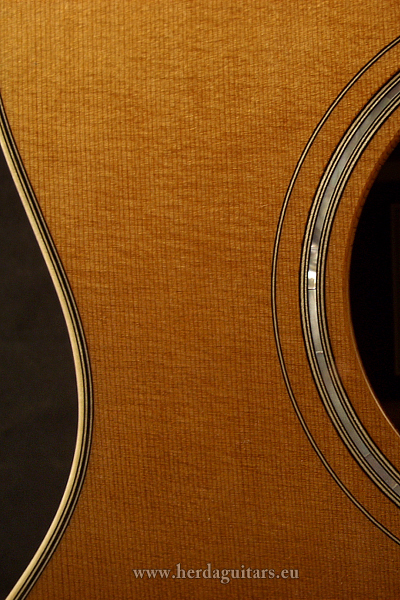 Avoid rapid changes in temperature, and let guitar acclimatize to room temperature while it is in its case. In winter if you transport your guitar loosen the strings. Store your guitar in its case when not in use. 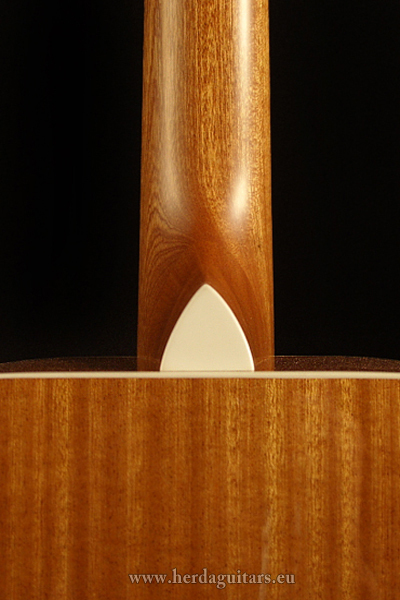 For short periods you can use a quality vinyl free guitar stand. Loosen the strings when you won’t be using the guitar for several months. Use only string gauges recommended in the warranty list. 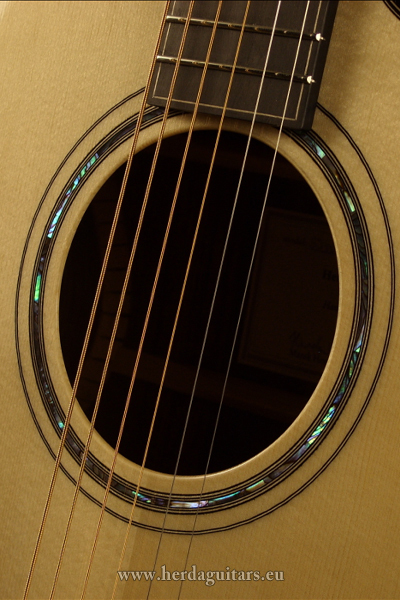 If you want to go to a different gauge of strings, make sure the guitar is built for it. 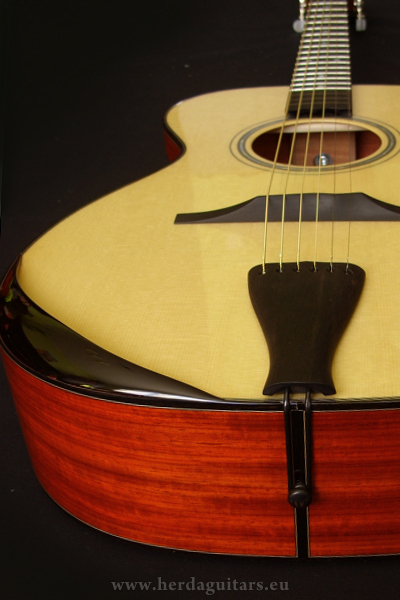 The truss rod is used to stabilize and adjust the relief of the neck, not for setting up string action. 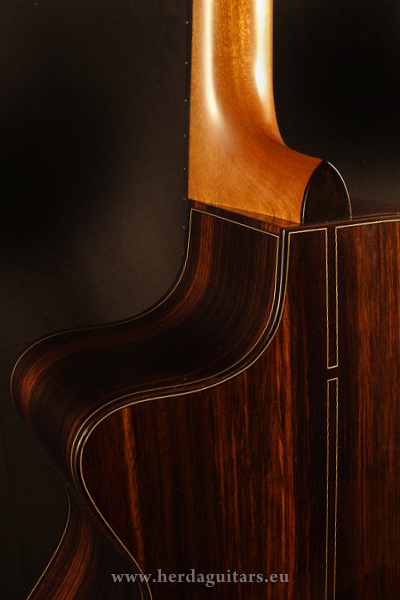 Make very gentle adjustments and if you're not sure what are you doing take it to qualified luthier or repair shop.